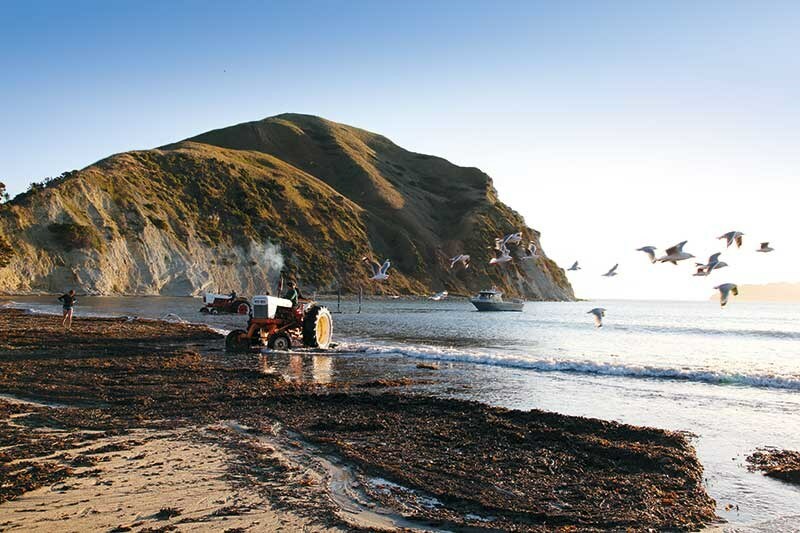 Vivienne Haldane takes a trip to the extraordinary Mahia Peninsula, which is slightly off the beaten track but well worth the detour. 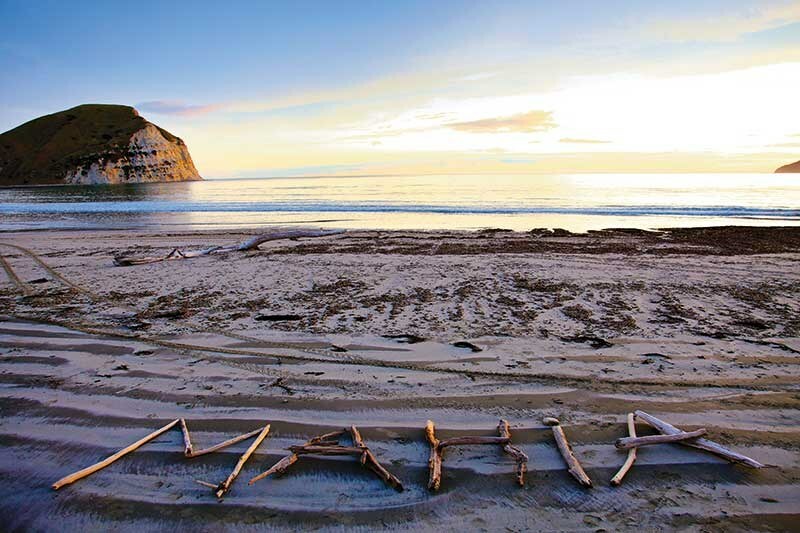 Mahia Peninsula juts out into Hawke’s Bay like a beckoning finger. 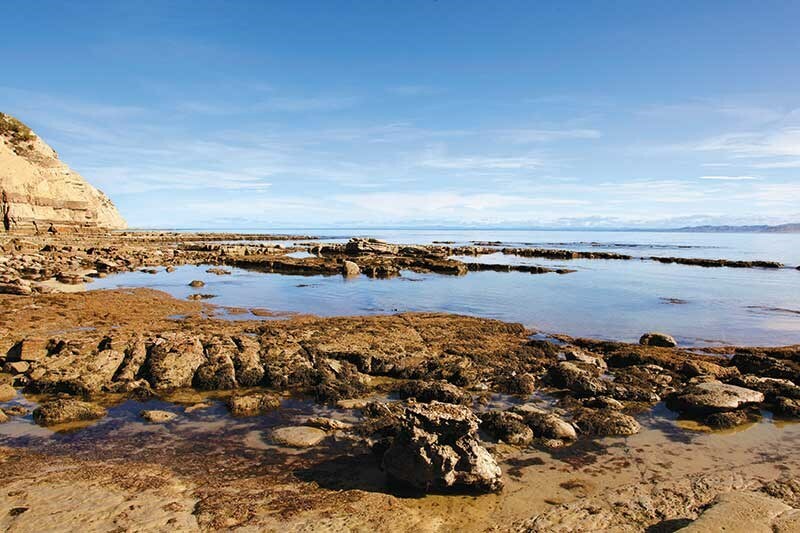 Apparently, the 21.7km-long and 11.3km-wide peninsula was once an island, but over time a sandbar has joined it to the rest of the North Island. 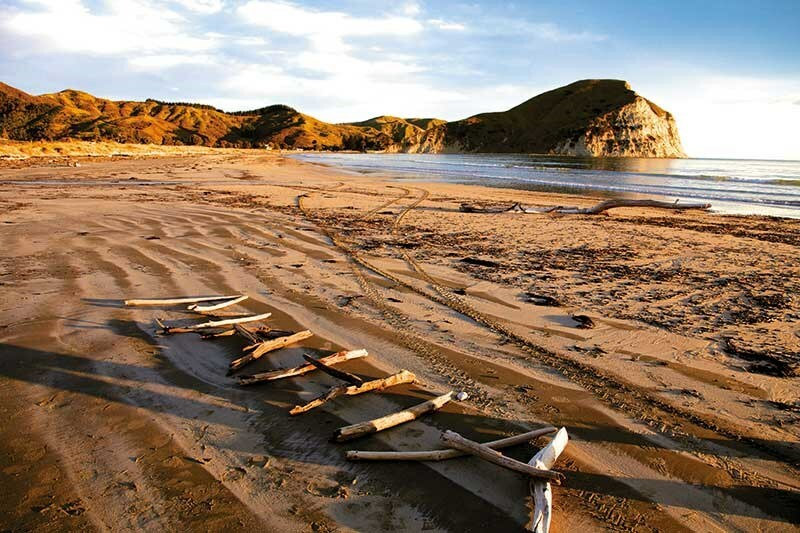 On an August afternoon, delicate rays of winter sunlight are colouring the Mahia settlement, creating golden hollows in the hummocks and sand dunes. 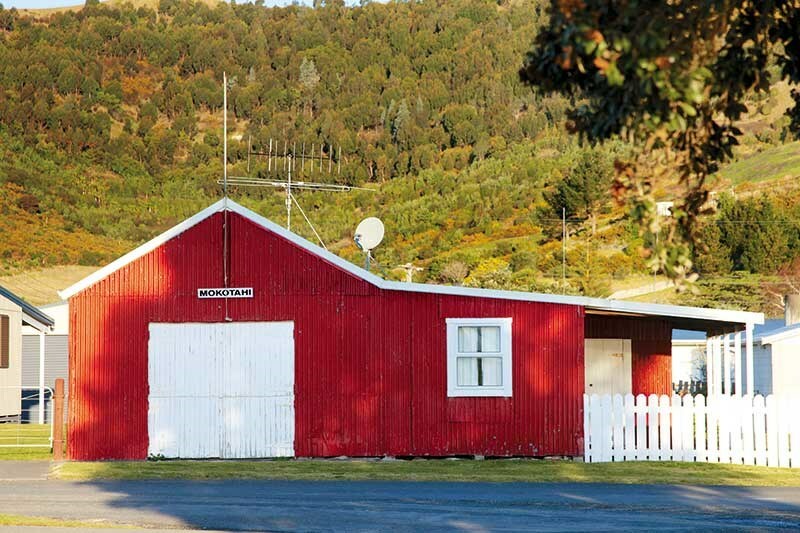 At Mahia Beach Motel I ask the manager, Guy Isherwood, why it’s so deserted. He says, "We don’t get much of the tourist trade during the year, perhaps it’s because we are off the beaten track and in a way we are happy about that – it’s part of its charm." According to Guy, the hordes begin arriving around Labour Weekend when the weather warms up. Over summer, the population swells from 700 to 7000. 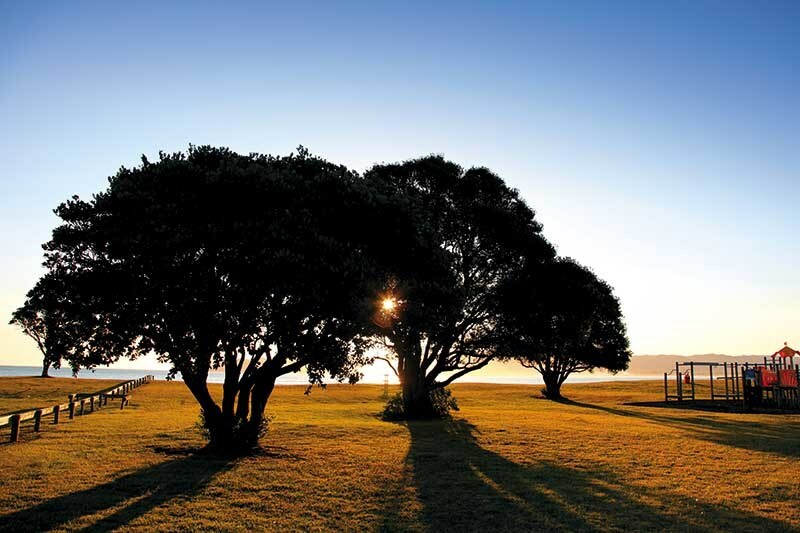 Part of the draw card, apart from Mahia’s stunning natural beauty, is bountiful fishing grounds and safe beaches. Before the sun disappears, we go for a wander along the beach. A man and his dog are the only other walkers. At the far end, a delegation of seagulls is sorting out their bird business. A smart looking tractor appears pulling a boat which its owners manoeuver carefully over a thick mat of seaweed into the water. Just above the sand, there’s a commemorative rock embedded with fossilised shells. It has a plaque that says, The US 2nd Marine Division carried out practice landings on this beach in 1943. I’d like to know more. Guy has given us some tips for places to explore, so the next morning we are up and away. We’re in the Jeep so have no worries about travelling over any rough ground we might encounter. We take Kinikini Road leading south along the peninsula. We count ourselves lucky to have such a pristine morning. The air is so still you can hear the waves breaking on the point near Blacks Beach where we had seen surfers the day before. We follow a limestone ribbon of road upwards before we park and walk for a while. Around every corner are new views to admire. An old railway carriage, smothered in ginger rust, has been dumped in the lee of a ridge, probably for use as storage. Overhead, a hawk arcs and swoops gracefully in search of a tasty morsel. On the hilltop, a posse of billy goats cast a watchful eye over us. How destructive they must be for the native bush. 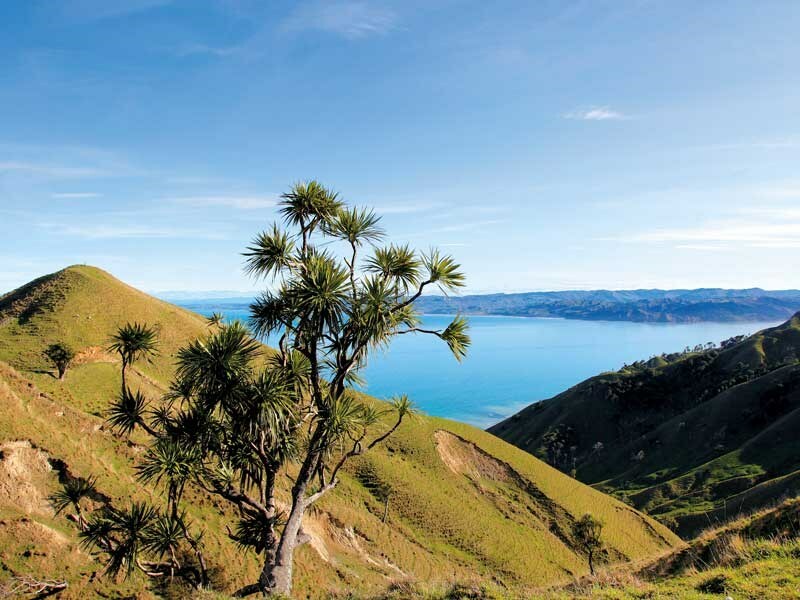 Some familiar landmarks such as Nuhaka and Wairoa can be recognised across the bay. A little fishing boat zooms into the blue cleft between hills rutted with sheep tracks. To the north, beyond layers of hollowed hills, lies Young Nick’s Head. On the way back to the beach we check out the Mahia Scenic Reserve, making a mental note of it for the next time. In the afternoon we drive to the other side of the peninsula. According to the locals, this is where the best fishing spots are and sure enough, a few fishermen are seen surf casting on ledges of flat rock. Check out the full article in issue #134 of Motorhomes Caravans & Destinations magazine (on sale now!). Subscribe here.